Vox‘s coverage next week will shift to the Big East Tournament in New York City, and most of the student body seems to be jetting off to some exotic location already, nevertheless this post is for those of you who are staying in D.C. for spring break. Maybe you want to get ahead on homework, or maybe you want to catch up on your favorite television programs. But if you have no plans, don’t panic. Vox has the perfect D.C. spring break lined up for you, especially if you have eclectic music tastes. Celebrate Texas Independence Day with brisket and booze at Hill Country. 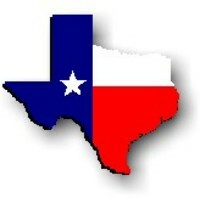 And who knows, maybe this turns out to be a legitimate uprising for Texan sovereignty. Shake your money maker at the Flamenco Festival, a week-long celebration of Spain’s invigorating music genre. It’s being hosted by George Washington University until March 7th. The music to Mongolia – Mining Challenges a Civilization sets the stage for a group of dancers, contortionists, and throats singers. You heard me, throat singers. The free performance is at the Kennedy Center’s Millennium Stage at 6 p.m. Blacks in Wax, a black history inspired show, brings wax characters into living, breathing replicas of the most famous African American authors, writers, and sports stars. This sounds terrifying! The free performance is at the Kennedy Center’s Millennium Stage at 6 p.m. If you’ve never had your teeth drilled, you’re really missing out. The Chocolate Lovers Festival in Fairfax on Saturday guarantees at least one cavity per guest, so now is the perfect time to experience orthodontic agony. I make a really good salesman! Make it up to Silver Spring to witness the enigmatic Young Jeezy in concert. It’s at the Fillmore, and tickets are $30. The Manhattan School of Music will be busting out your favorite Steve Reich tunes at the Kennedy Center’s Terrace Theater. It’s free at 6 p.m. If you’re spring break is not going as wild as you imagined, do not miss the model airplane workshop at the National Building Museum. Recommended for children 8 and older. The Blues Alley Youth Orchestra, an ensemble composed of prodigious 14 to 17 year-olds, has some big band jazz lined up for. The free performance is at the Kennedy Center’s Terrace Theater at 6 p.m.
Harlem native Jim Jones is performing at the U Street Concert Hall at 7 p.m. Journey over to the National Geographic Museum for an appreciation of Nat Geo photographer Tom Abercrombie. His wife and daughter will be present, recounting stories from his peripatetic career. Do the names by Bach, Weber, Bizet, de Falla, Rossini, Scriabin, Shostakovich, Rachmaninoff, and Kapustin ring a bell? The Indiana University Jacobs School of Music has a stacked program featuring works by each of these composers at the Kennedy Center’s Terrace Theater. It’s free at 6 p.m.
Bike over to the 9:30 Club to see British rockers Bombay Bicycle Club. Wouldn’t it be cool if they played their instruments while balancing on unicycles? Tickets are $15. Unleash your inner Bacchus at the Capital Wine Festival at the Fairfax Hotel on Embassy Row. It’s actually a $145 four course meal, so not exactly my idea of a festival. You better call your parents about covering the bill. Vocalists from the Eastman School of Music take on works by Rossini, Mozart, Barber, Smetana, R. Strauss, Bizet, Jason Robert Brown, and Kern at the Kennedy Center’s Terrace Theater. Your mind will be fucked. It’s free at 6 p.m. Fly a helicopter over to HR-57 (H Street) for their weekly Jazz Jam Session. Performers include university students and professionals, so you could potentially see a Hoya saxophonist completely shredding it over a Miles Davis tune. Let The New England Conservatory of Music indulge your classical cravings with pieces by Saint-Saëns and Ravel. The 6 p.m. performance is free at the Kennedy Center’s Terrace Theater. The Verizon is hosting the Black Keys and the Arctic Monkeys, two of the least-fit bands for a stadium setting. To be honest, I’m just saying that because I want to go. The concert starts at 8 p.m. If you liked The Artist, this has your name written on it. Students from the prestigious Berklee College of Music perform a 2011 original score to Eisenstein’s Battleship Potemkin, a masterpiece of silent cinema. The 6 p.m. performance is free at the Kennedy Center’s Terrace Theater. You have not seen a true group of stoners until you’ve seen the crowd at this Dave Matthew Tribute Band show in Silver Spring. It’s at the Fillmore at 8 p.m., and tickets are $12. Have you heard of Haydn? No? Shame on you. The Oberlin Conservatory of Music will play more Haydn than you can handle at the Kennedy Center’s Terrace Theater at 6 p.m. Tickets are $150. Just kidding, it’s free. Honor Bizarro, everyone’s favorite clown, for his 10,000th Anniversary celebration at the Riot Act Comedy Club. Wow, I had no idea Bizarro was that old! Citi Bank’s Citibank Classical Night: Three Cities Chamber Music Marathon is bursting to the seams with the most sensual classical chamber music ever made. It’s free in the Kennedy Center’s Terrace Theater. The marathon kicks off at 2:30 p.m. and runs until 9:30 p.m. The Chocolate Lovers Festival also will be held on Sunday, March 4. Check out the website at http://www.chocolatefestival.net for event information, maps, directions and more!